First, at the par-5 16th he struck a stunning 271-yard 3-wood to reach the green in two and set up a tap-in birdie. He saved the best for last, a laser-like 5-wood from 253 yards for a tap-in eagle. Pure class from the Ulsterman. This sounds easy, but we appreciate it's a hard shot to execute. However, if you can get those fairways working, think of all those long par-4s and par-5s you'll make so much easier. 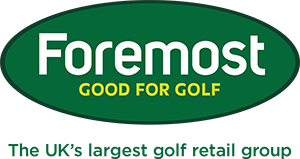 Come into the golf shop and see the team or click here if you're interested in getting some further help. If you want to check out any of my videos head over to my instruction page by clicking here. Or you can subscripe to my YouTube chanel by clicking here to get regualr updates.